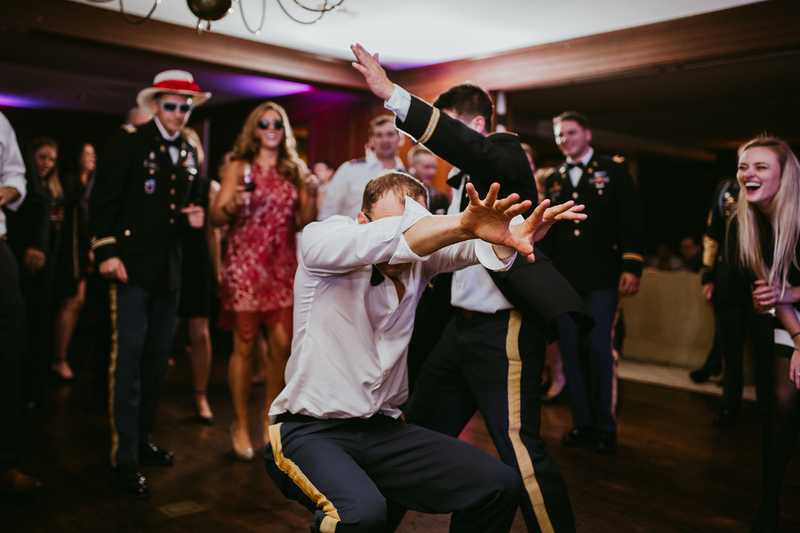 We aren't the guys who are going to hop on the dance floor and teach the cha-cha slide; but we are the guys who pride themselves on keeping your guests dancing. 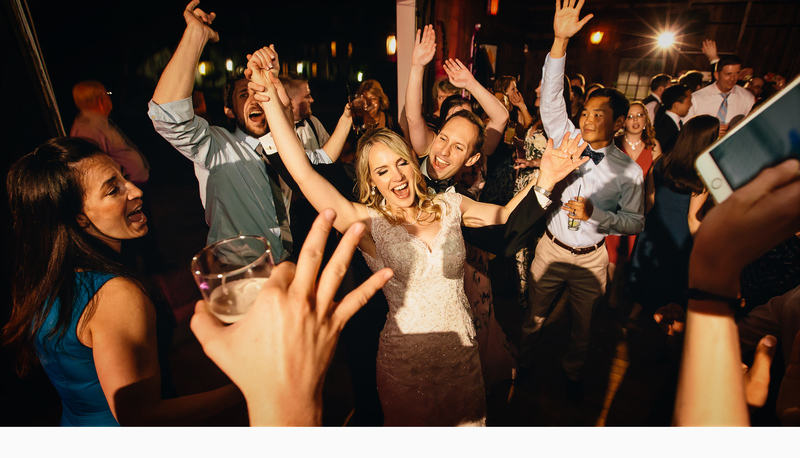 We take a nightlife approach to the dancing portion of your reception with high energy beat mixed music to keep guests on the dance floor. We seamlessly integrate classics with today’s hits to keep everyone from Nana to your little cousins dancing! Ask us how why #DancingShoesRequired is more than our hashtag. You'll be happy you did! your guests are going to remember! Your Favorite Music. Your Venue. READY TO PUT ON YOUR DANCING SHOES? We seriously couldn't have hired a better DJ for our wedding! 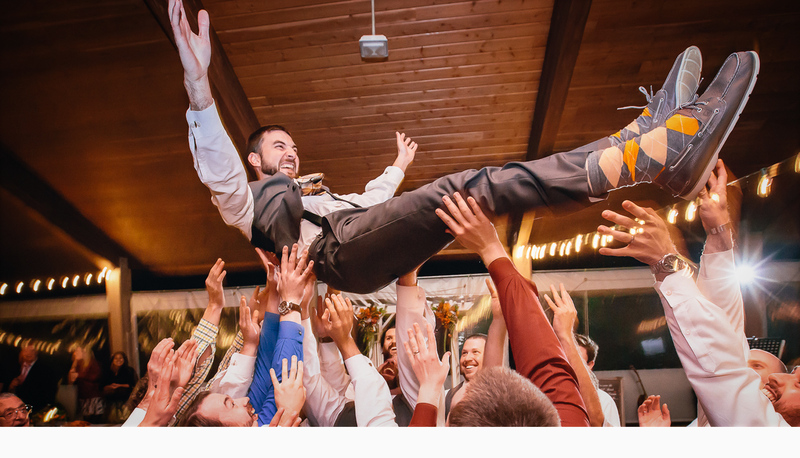 From our very first initial meeting to our wedding day, Jay was easy going, organized, and energetic. His confidence was so infectious that we would leave every meeting even more excited for our big day. Being a former club DJ myself, my expectations were pretty high. Needless to say Jay blew it out of the park. From the uplighting to his energetic mixing, everything was next level. His ability to read the crowd was some of the best I've ever seen. Jay really goes above and beyond to make sure that every detail is taken care of to the standards & expectations of his clients. 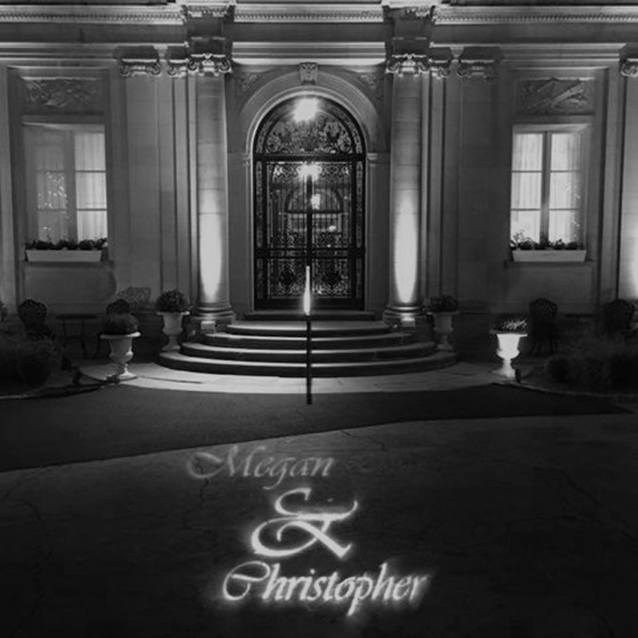 I have worked with countless DJ's throughout my time as a wedding planner, and would highly recommend him and his team in a heartbeat. Thank you Signature Sounds!!! Working with Jay Friese (Signature Sounds and Lighting) was a wonderful experience start to finish. He is super organized and gathers tons of information to ensure that the event runs smoothly and to your satisfaction. Jay asked questions I never would have even thought of and was able to give lots of recommendations about other vendors and pieces of the wedding planning process. He is a true professional in this industry. We were able to find the perfect acoustic cover version of our song so that it was appropriate for our first dance. His transitions are seamless! Jay is truly an artist at what he does. Usually when you are at a wedding, the dance floor has to warm up a little bit before people get moving. My husband and I were thrilled to see that the dance floor was PACKED immediately after dinner, when the "dancing" portion had just begun! Jay knows exactly how to make the music flow for a wedding to appeal to the guests (i.e. playing more classic tunes early on so that the older crowd can enjoy it and playing more modern beats later in the evening for the younger crowd). The dance floor was seriously full all night long and everyone commented on how amazing the DJ was, which we already knew! As a bride with a budget, I know that you have to prioritize each vendor and decision you make throughout the planning process, but you cannot compromise on a quality DJ! 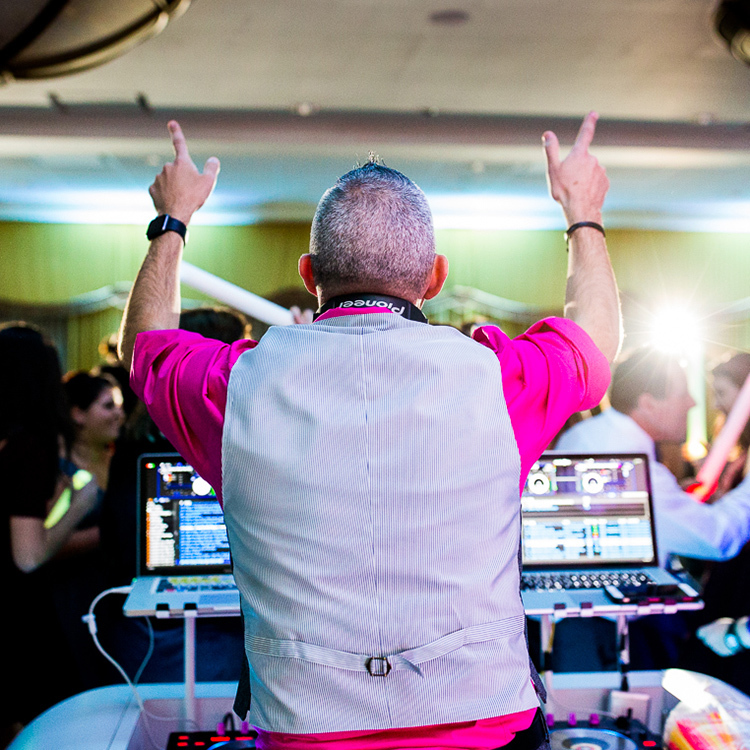 The DJ sets the vibe at your wedding and plays a big role in ensuring that you and your guests are having an incredible time. 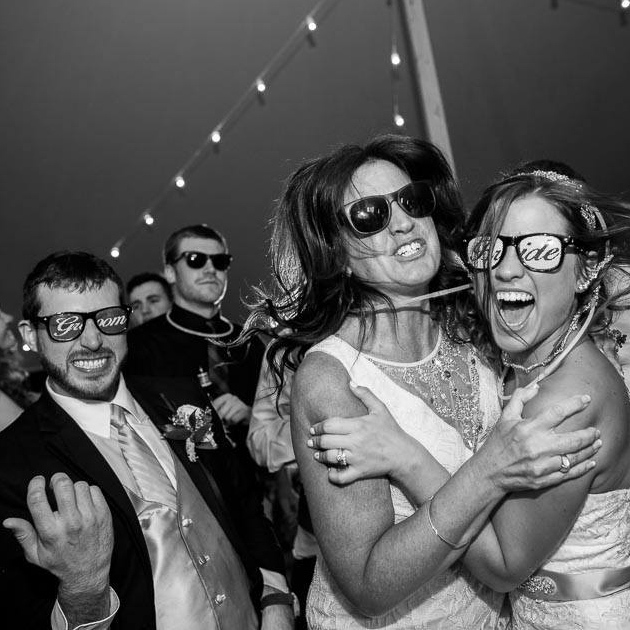 I would absolutely hire Signature Sounds again for a stress-free, smooth and crazy fun time! From start to finish, Signature Sounds does not disappoint. Each meeting with Jay and George allowed us to get to know each other, learn our music tastes and what our vision was for our day. We selected DJ service, uplighting and the photo booth. We HIGHLY recommend all three services. They really listened to us and evens surprised us with music to complement our theme - movies. George did a fantastic job with the music, we loved the movie sound tracks at dinner! We had family members that haven't danced in years (medical conditions) that were up and dancing! They said they couldn't not dance to certain songs - really made us smile. We have had so many people tell me it was one of the best weddings they've ever been to! Brittany and I couldn't have been more pleased with job your staff did with the photo booth and just running the wedding in general, the timing was perfect. Also, if you are on the fence about uplighting - just go for it! It really added another level to the ballroom. These guys know what they are doing! The added bonus was the photo booth - the ladies running the booth were a delight. 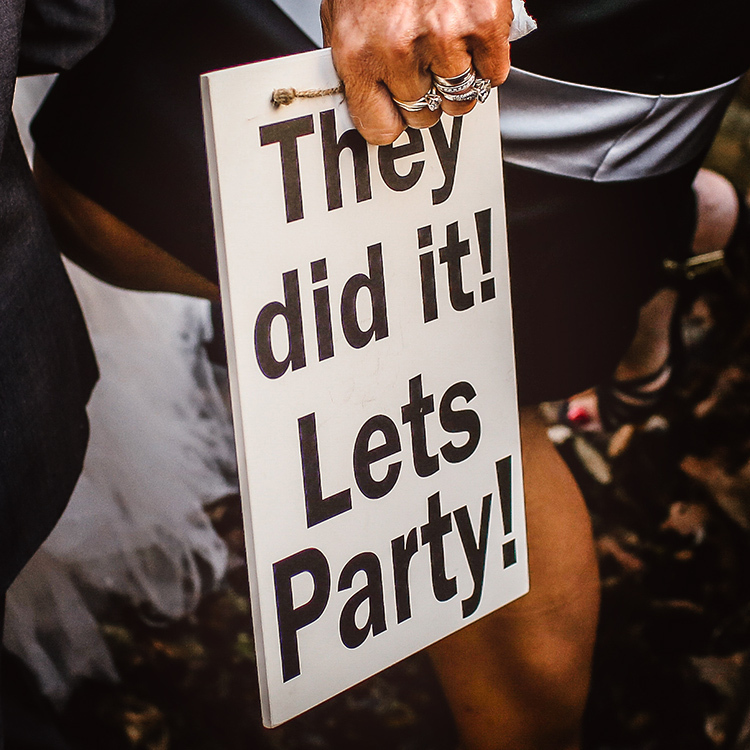 Our guests loved it and we were surprised with a keepsake album of all of the shots! So sweet! With any luck we should be having a few more weddings coming up in my family and I'm going to be recommending you to all of them. Thank you and your team for making our day a magical one! We chose Jay as our DJ for our wedding this August, and we are so happy that we did! He was amazing. All night long our guests were commenting on what a great job our DJ was doing. He definitely knows how to keep the party going. We had an Indian Fusion wedding, and Jay did a great job with this. We provided him with a flash drive with some Indian songs a few weeks before, and he mixed them in with his playlist. He chose the best parts of each songs and mixed everything so seamlessly that the whole night just flowed into one big dance party. I'm a shy bride and usually not a big dancer, but because of Jay I was out on the dance floor all night long and had the best night of my life. Thank you so much Jay! Our wedding would not have been the same without you. Jay also provided the uplighting and the ceremony sound system for us. He wasn't doing the music for the ceremony or cocktail hour, but still arrived early in the day to help everyone set up for the ceremony. 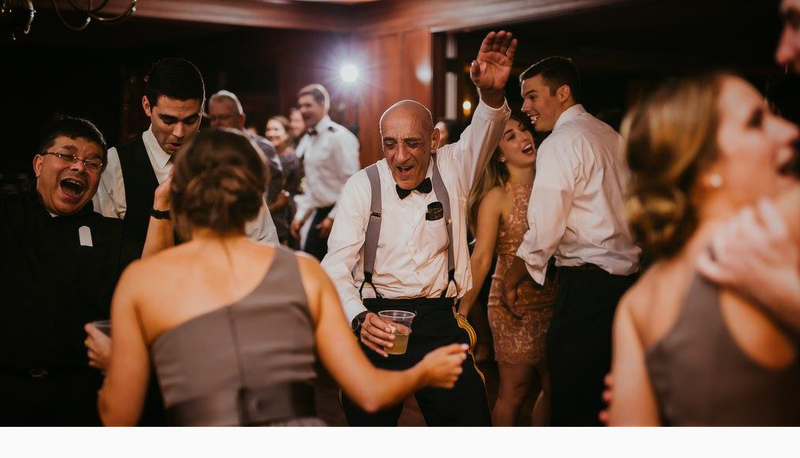 We contacted Signature Sounds on the advice of our wedding coordinator and we were so glad we did...we, along with our families and friends were absolutely thrilled with how great a job George did for our wedding. The dance floor was full all night with different groups of people dancing, all of our requests were played (including a last-of-the-night by a fairly obscure artist) and everyone had a blast. Jay was a breeze to work with and George went above and beyond for us...including stopping by our table when guests interrupted our dinner to make sure we had time to eat. I would work with anyone from Signature Sounds again, anytime....they're fantastic!! Jay and his team did a phenomenal job for our wedding at Mount Hope Farm. He's flexible, professional, and gets everybody moving and grooving. He had a pre-planning meeting with us to ensure that all details were what we wanted for our big day and he executed flawlessly. Highly recommend Signature Sounds! What amazing job- from the beautiful lighting to the awesome music! Everyone was on the dance floor, it was such a blast! Highly recommend Signature Sounds, So glad we went with you guys! What an awesome night!! Thanks again for bringing the party! Choosing Jay Friese to be a part of our wedding was one of the best decisions we made while wedding planning. From our first meeting with him till the end of our wedding, he was everything we wanted in a DJ. I always thought that I wanted a band for my wedding but the prices for that were not in our budget. But after the wedding we were so glad we had Jay. Our friends and family raved about him. My husband and I love music but when we sat down with jay to start picking music we weren't really sure what to choose. We trusted jay enough to leave it in his hands and he nailed it. We had a small wedding so I was concerned not many people would dance but with jay everybody was on the dance floor. I promise if you go with Jay you will not be disappointed! Thank you so much jay, you made our wedding everything we dreamed of and we can't wait to see you perform again. Jay came highly recommended from friends who had him DJ their wedding. Upon our first meeting, my now wife and I knew Jay was the only person we wanted to not only DJ our special day, but also be part of our special day. He goes way past just a DJ. Jay is a genuine, professional, down to earth and overall amazing human being. It wasn't hiring a DJ to us. It was gaining a friend. His talent speaks for itself. He is absolutely incredible at his craft. Would I suggest or recommend Jay, absolutely. I would recommend anyone that can have the honor of getting to know Jay to do so. Both professionally and non professionally. My wife and I look forward to seeing much more of Jay. Outstanding. I give signature sounds 5 stars. From the ceremony to the reception jay did an outstanding job. All my guests were pleased he truely has a talent and makes sure there's always a crowd going. From the first meeting my husband and I met jay we knew he was our Dj. If you want a up beat and a dance all night wedding signature sounds is your DJ. What a fantastic night we had! We give so much credit to our amazing dj! Jay is professional, energetic, organized and knew exactly what to play to keep everyone dancing! Our guests had a blast and I don't think I got off the dance floor all night! 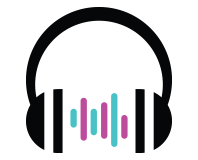 We, and our guests, were so impressed with Jay at Signature Sounds. A month later and friends and family are still gushing about the music at our NYE reception. He took our eclectic requests in stride and made it work, featuring a few GEMS we hadn't thought of that were really well received. 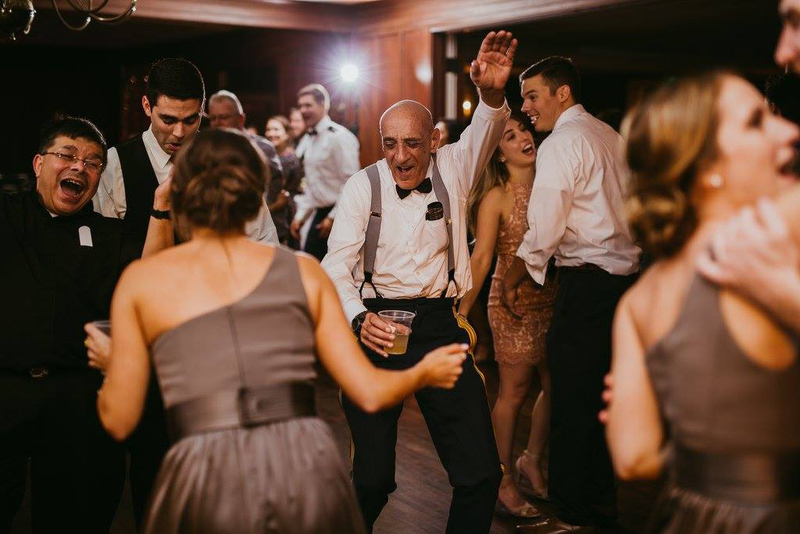 He kept the party going, kept everyone on the dance floor, and pleased our guests of all ages for HOURS! He was fantastic to work with, and we can't wait to recommend him to everyone we know. This is my second event using Signature Sound DJ and we could not be happier. Our annual holiday party has truly become dancing shoes required - as so many of my coworkers have remarked on how they could not get off the dance floor! His music selection is on point. 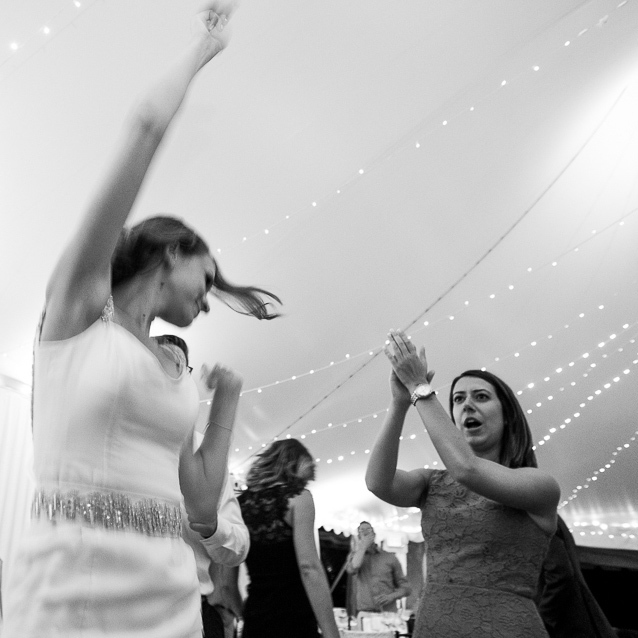 Without fail your guest will be dancing all night. Jay is fantastic, courteous, extremely prompt with all communications. It has been a pleasure working with Jay and absolutely would recommend and use Signature Sound in the future! ©2018 Signature Sounds DJ & Uplighting. All Rights Reserved. Website Design by EO Design Studio. Images on this site generously provided by various talented photographers throughout New England. They may not be copied or used without permission.